Pakistan is among those countries which are developing rapidly in the field of information technology. The biggest reason behind the rapid growth of education is the young generation of Pakistan, which is over whelmed with fruitful ideas. Being a Pakistani myself I have great regards and respect to the Bloggers of Pakistan who are educating us with there knowledge free of cost. There are thousands of Pakistani bloggers who are passionate about blogging. If we go in depth we will discover Pakistan has tons of fascinating bloggers. This is the reason why today I thought to create a list of top 10 most popular Pakistani bloggers and blogs. The task of collecting the information was very tricky as Pakistan has massive list of bloggers but in the end I managed every thing pretty handsomely. So today we will discuss about the most inspiring and top bloggers of Pakistan which are giving the message to entire world that we Pakistanis are not left behind in the field of information technology. Below is the list of Top 10 Popular Pakistani Bloggers and Blogs. Which are calculated according to their Earning, Traffic, Alexa Ranking, Affiliate income. Taimur Asad is a software engineer who was graduated from Bahria University Karachi. In our ranking he is the number one blogger of Pakistan. His Blog Redmondpie.com is ranked at 4000+ all across the globe with the maximum Alexa rank of 2000. He is an ideal blogger not only for Pakistan but for whole south Asia. His blog is mainly focused on technology news, reviews, information, products, android and etc. His blog covers every thing from Microsoft to apple and from Symbian to Android. With almost 24k$ per month earning there is no doubt why he is on the top spot of our Pro Blogger Ranking in Pakistan. Syed Balkhi is another most prominent blogger of Pakistan. He is the founder and CEO of wpbeginner.com. Although he is not living in Pakistan right now, as he lives in USA but was born in city of lights Karachi Pakistan. He is known for his forceful advertising skills, artistic designs, and knowledge in SEO. He is famous as “the WordPress Ninja” among his clients. With the Alexa rank of 4500 all across the globe and Google Page Rank of 7 he is on second spot in the list of Top Pro Bloggers in Pakistan. Well what I should say about this guy he is simply the best. 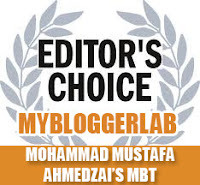 Personally I really love Mustafa not only for his blogging but the way he motivates the young bloggers to do blogging, he is my personal favorite. He started his blogging carrier in 2008 with .blogspot.com blog after few years he converted it into professional .com blog. He is not only a Pro Blogger but also a certified SEO consultant. His blog is about blogging, blogger, make money online and etc. This guy is 22 years of age almost the youngest blogger of Pakistan. After the release of Google Panda update most of the popular blogs were hurted as they saw a major drop in their traffic but due to the Panda Update MBT (MyBloggerTricks.com) saw a flyer in it’s traffic and since then Mustafa has not stopped his passion, “Blogging”. MyBloggertricks.com has 4 Google Page Rank and has 10k Alexa Rank across the globe. With our estimate he earn about 7 to 10K per month which makes him the 3rd most popular Pro Blogger of Pakistan. He also runs one self host WordPress blog named SmartEarningMethods.com which is entirely based on How we can Make money online. Aamir Atta the CEO and founder of Propakistani.pk started his blogging journey in 2008 and his blog is the most popular blog in the field of local telecom and broadband industry in Pakistan. In Pakistan it is ranked at 84 which make it the most visited blog of Pakistan. ProPakistani.com reaches to a huge audience – actually over 500,000 unique visitors per month to be exact. His blog is ranked at 10k all across the globe with the total earning of 6000$ which makes him 5th most popular Blogger of Pakistan. Nabeel Khan is a multitalented guy he is Doctor and web developer /programmer by profession. He lives in Islamabad Pakistan and was born on 27th of April. Nabtron.com was started by bunch of school boys but as the time passes they spread all across the world but there enthusiasm towards blogging never ended this is the reason why it is ranked at 45k all across the globe with the maximum Alexa rank of 10k. 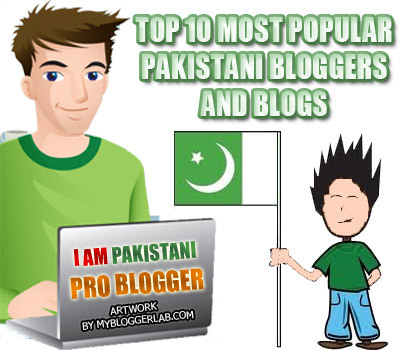 According to our estimate he earns 4000$ per month which makes him the 6th most popular Pro Blogger of Pakistan. This boy is truly a genius, at such young age of 16 (Current) he has shown great self believe with his blogging techniques this is the reason why within 4 months his blog gained ultimate attention from audience all around the world. There is no doubt why we ranked him the most prominent and emerging young star of the year 2012. Ammar Ali is a young teenager who is blessed with the art of Blogging. He blogs day in and day out as blogging is his passion. With Alexa Rank of 32k (Still improving) all across the globe and page rank of 3 he is at the 7th spot of our Pro Bloggers in Pakistan. Mohsin Ali is a 32 year old Pro blogger and a top rated SEO consultant. He lives in Islamabad Pakistan, who is enjoying his life of internet since 2007. Mohsin started as a part time blogger but now with handsome techniques he is a Pro Blogger. The reason behind the creation of his blog was to educate other with free of cost knowledge. His blog is ranked at 46K all across the globe with the Google Page rank of 2 he is on the 8th spot in our list of Pro Bloggers of Pakistan. Nadeem Khan was born in October 1990 and is a computer engineer and he is the founder and current CEO of Chillopedia.com. Chillopedia is the growing news, reviews, resource and information blog which focuses on various different genres such as Technology, Social Media and etc. Nadeem khan is not only a Blogger but also a SEO Expert. With Alexa ranking of 51K all across the globe and estimated earning of 2000$ per month he is the 9th most successful blogger of Pakistan. So These Peoples are the true talent of Pakistan, as these bloggers are highly professional specially Mohammad Mustafa Ahmedzai’s MBT. Now its up to you which blogger you want to follow. And I hope you will be motivated to get listed in our next edition of Top Pakistani Bloggers. Till then Peace Blessings and Happy Blogging. Yap Pal, This is the reason why He is Our Personal Best and editors choice:).Thanks And Keep Motivated. Thanks Brother, Soon Top 10 Indian Bloggers Will Be Disclosed :)..Thanks For Liking Buddy. How much are they earning? 24K Rupees or dollars? @Faizan I'm sure that you should be in the top5...Nice post bro!!!!!!! I am a hobbyist blogger at iTechWhiz but I am pleasantly surprised to know that RedmondPie is run by a Pakistani Blogger. Couple of weeks, ago I was attended Windows Phone Application Development workshot at PITB, conducted by Microsoft Innovation Center Pakistan Chapter. There I got an invitation to next Microsoft Blogger Conference in Pakistan by MIC guys, but i was not much motivated. Now when I just came across your post, I realized that importance of the idea of meetings and sharing between Pakistani Blogging Community. Hey Pal, Yeah Brother Interacting is the best way to get your ideas a promotion. We should feel proud that Redmondpie is own By a Pakistan. Well I Don't Think a Single Word is Copied. It is Passed From CopyScape and Google.com. As far as Blogger is concern I cannot really change any blogger the List is List. We cannot Degrade any blogger by simply removing from the list. In Coming days we are trying to update it to give more accurate information. Peace and Blessings. to watch all updates of "pakistani Politics" and "Current Affairs Of Pakistan" and also watch "Live Streaming" of Pakistani News Channels and International"
Hi, an excellent list, blogging is a global thing, accessible to anyone and everyone and that is why I love it. It is great to see so many youngsters doing well from it. Hi Faizan; I am 43 years young newbie Pakistani blogger (www.pollutionpollution.com) and very much impressed by you all guys; especially of your passion to blog and commitment to serve blogger community. 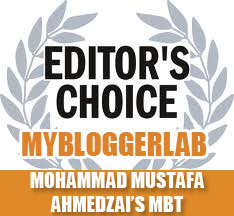 I am fan of your's and Muhammad Mustafa's writing style and I keep on learning of whatever you innovate on your blogs. I hope you would keep guiding me. Once again thanks and pray for my success. Hey Nice to see that you are also passionate about blogging. That Great that you follow ME and Mustufa. he is the best blogger we have. Peace Brother. Faizan Ali! buddy i am impressed to see your blog. Best of luck for you and your blog. nice collection pakistani bloggers,hopely this will encourage the young pakistani bloggers to enhance their hidden capabilities in the field of blogging. A Nice list.... I like Aamir Atta, Saad Hamid, A professional bloggers with good and creative approach. Yeah, Indeed the Blogger list is very very old. I Do Need to update is As soon as possible. Yeah, Mustufa Bro is one of my favorite. Thanks for leaving your precious comment. Till then Peace Buddy. Blessings...Cheers.! that's great post and very good for me and all new bloggers to get direction and learning: chillopidia.com has been hacked by India hackers plz remove this site from list and sorry for that author its big loss for him. Here is my new blog I would be happy if you visit my blog or I also want to be connected with you for learning…thanks you so much…. Its all about UBL Omni Branchless banking service in Pakistan. I m trying to be the same. It is feeling good that paksitan has also such persons which are doing such work.Blogging is a good way to explore your thoughts. You have done a phenomenal job wile compiling the Top 10 list of Pakistani Professional bloggers. I must say that this list is surely a source of inspiration. Thanks for your efforts and keep sharing the nice information!! You are not right about their earning, even a small blog can earn 5-10k $/month then the Redmonpie must be earning more then 35K$/month. Hi Hamza, I appreciate your comment, But this list was published on 4/27/2012 and its about 4 years old. Nice post but don't you think the list must be updated now?